Our passion is supporting children and families. Our dream and vision has been to create a safe, nurturing place for children and their families where they can be themselves, learn about each other and grow together. 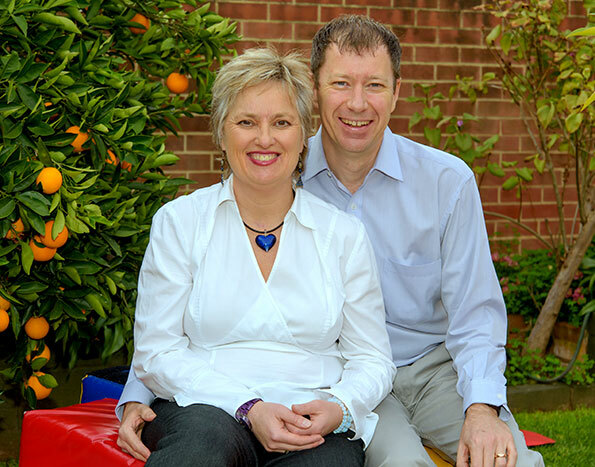 My Therapy House® was founded by Dana Baltutis, DIRFloortime® Certified Speech Pathologist and Craig Clarke, her husband and business partner. Both Dana and Craig wanted to grow the concept of working with children and families using a Social-Emotional Developmental Relationship-Based approach in Adelaide by expanding Dana’s already successful business, Dana Baltutis Speech Pathology into My Therapy House® at Mitchell Park.